London: W. H. Allen, 1975, Hardback in Dust Wrapper. Condition: Very Good — in Very Good Dust Wrapper. A little rubbing to the edges of the dust wrapper which is lightly faded at the spine. Price Clipped. Edges of the text block lightly tanned. Text complete, clean and tight. 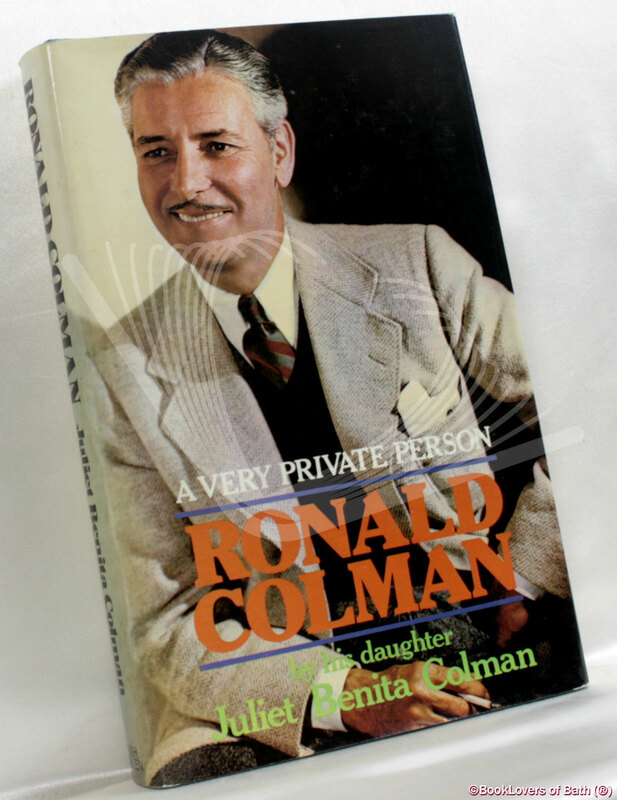 From the cover: “Blessed with the magnificent voice millions of people remember, Ronald Colman was an actor of great talent and charm who first became a star of the silent screen and was more successful than any other actor in making the transition to talking pictures — a success that carried over into The Halls of Ivy on both radio and television. Although he lived in America for more than thirty-five years, he was always the urbane and sympathetic English gentleman who consistently underplayed his roles in such classic films as Raffles, Arrowsmith, Lost Horizon, Random Harvest and The Late George Apley. Size: 8¾" x 5¾". Blue boards with Gilt titling to the Spine. [VII] 294 pages.